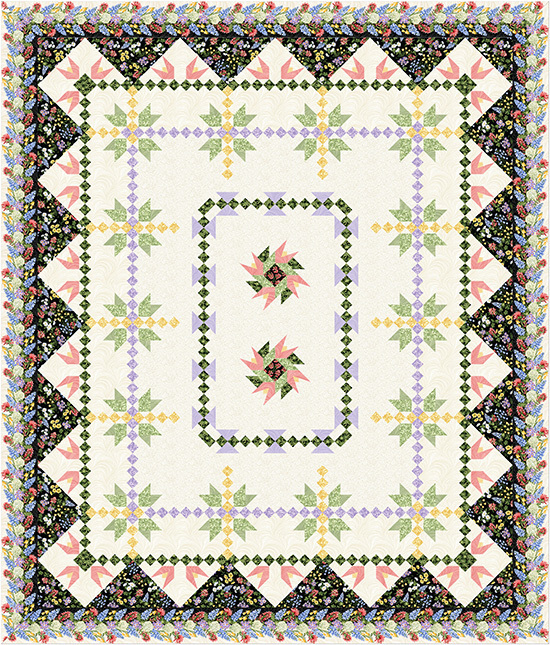 You've seen Jackie's new collection, A Wildflower Meadow. Now see the prints in action! Jackie has five patterns featuring the fabrics; one is a free download on our website and the remaining four are available for purchase on her website. 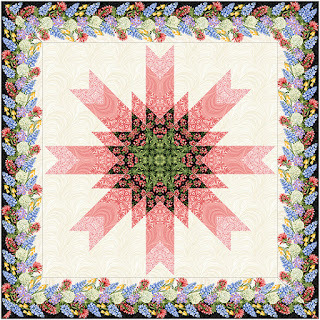 Mother Nature’s Garden: This pattern uses two classic blocks—eight-pointed stars and then friendship stars in the sashing. The stripe creates an impressive finish on any quilt, and I used the cream blender print right next to it to make it look seamless. Chevron Wildflowers: This quilt is a chevron Log Cabin, all made with the split stripe fabric. It’s fast and it looks great! 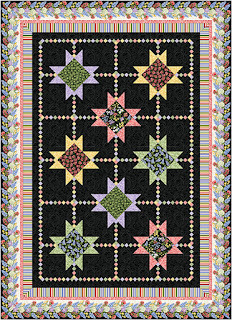 Confetti Stars: The big centers of the stars showcases the larger prints. The colors in the stripe inspired the confetti chain of tiny squares that connect the stars. 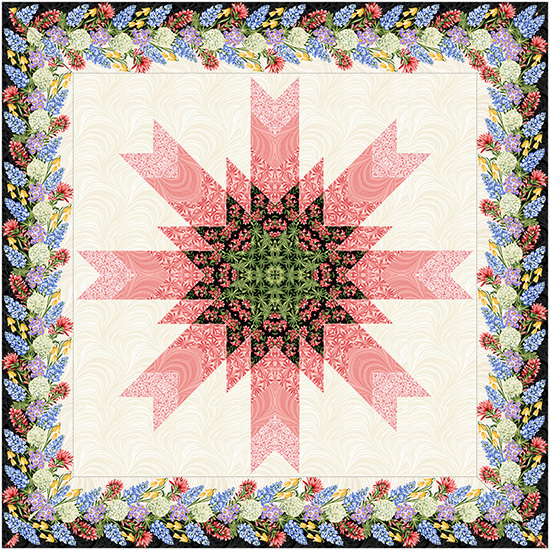 Indian Paintbrush Star: This is a Lone Star variation. It’s probably my favorite from this collection—I love the way it looks. My sample is traveling in a trunk show right now, but when it comes home, I’ll find a spot for it in my house. I chose to feature the salmon color because it goes so well with the Indian Paintbrush print on black. 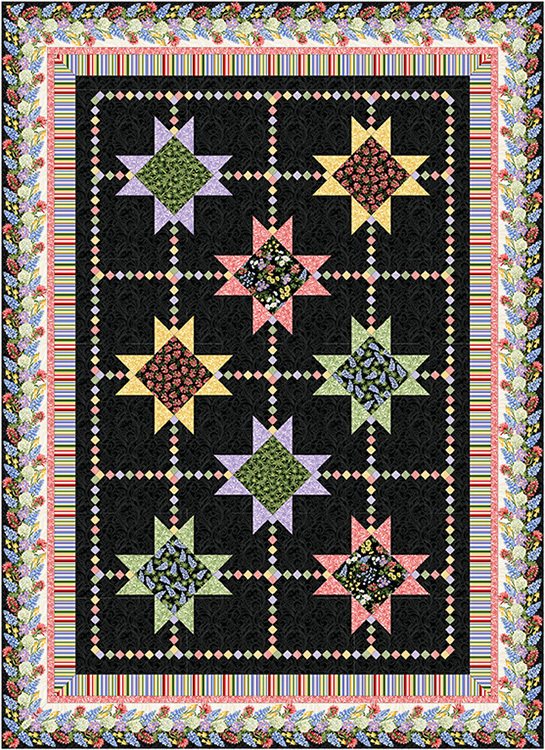 Walk on the Wild Side: This quilt can be a five-unit Block of the Month—four blocks plus the assembly. 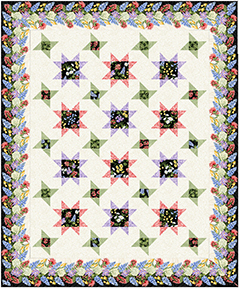 It’s made primarily with the coordinate prints, and then the wildflowers in the setting triangles. 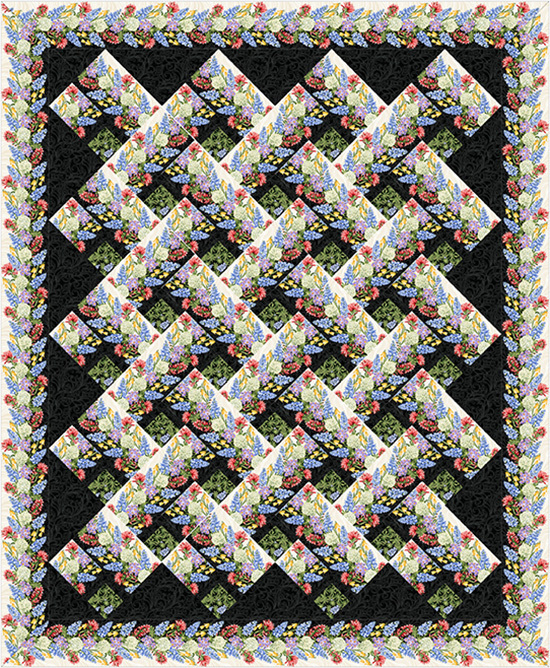 The center is the most labor-intensive part of the whole quilt. 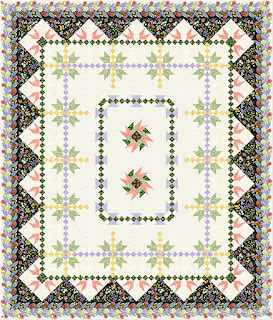 Click here to see the entire A Wildflower Meadow collection. Click here to read Jackie's interview about her new fabrics. I really love these fabrics! 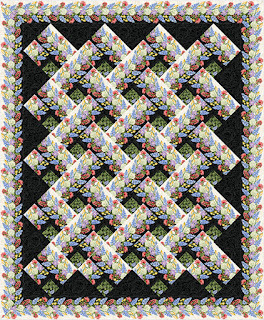 The quilts are gorgeous. Thank you for the free pattern. So many different looks from one fabric. Can't wait to see the beautiful prints in person.